Monaco RV and a Holiday Rambler, Can You Choose Between These Great Recreational Vehicle Models? Monaco RV Company is a name that is recognized in the industry and to consumers as a manufacturer who sells the highest quality products. Yet you may not be aware that they also manufacture the Holiday Rambler line of recreational vehicles, another industry leader. While both families of products are of the highest quality, Holiday Rambler RVs tend to be a little more affordable for the budget-conscious consumer. If you want the best RV that your money can buy, at a great price, and you would love to have a Monaco RV, but don’t think you can afford it, you should look at the Holiday Rambler line of recreational vehicles. 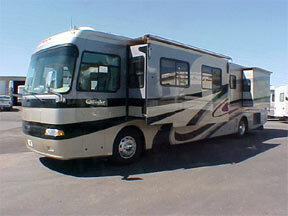 At PedataRVCenter.com you will find an RV wholesaler who specializes in the Holiday Rambler line. As a wholesaler, they can offer you all of the latest and best features and options at a lower price than the other dealers because they get them directly from the company. So not only will you get an RV that is manufactured by Monaco RV, but you will get it at a price that is lower than the price you would pay for a Holiday Rambler at another dealership. If you would still prefer a Monaco RV you can find listings for some high quality pre-owned models from this line as well as many of the other top RV manufacturers like Newmar, Winnebago, and Fleetwood. The recreational vehicles of today are made of higher quality materials and more attention to detail than ever before. People are recognizing this and more and more people of all age groups and situations are buying RVs. Monaco RV has taken a leading role in this growing popularity by offering products with better safety features, state of the art technology and designer upholstery. 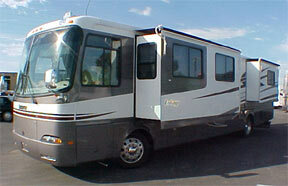 The Monaco Coach Corporation has also applied these same principles to the latest Holiday Rambler models. They have hardwood cabinets, beautifully appointed kitchens and bathrooms and a wide variety of floor plans and other options just like the Monaco RV line. The financing for your Holiday Rambler or is also simple through Pedata. They have an online RV financing calculator to help you to figure out how much RV you can afford and roughly how much your monthly payment will be. If you choose a used Monaco RV you can easily figure out what those payments will be as well. After you have found your perfect new or used RV you can be pre-approved for a loan using a loan product that is specifically designed for RV buyers like yourself. You can get great rates and flexible financing terms for your Monaco RV or Holiday Rambler or any other make or model that Pedata carries. So, if you really are looking for quality at a great price, you should look at all of the brand new Holiday Ramblers that are on the market today. The wholesale prices will be appealing and the product is equal to one of the best-Monaco RV. Whether you choose a used Monaco, or a new Holiday Rambler RV you will appreciate the customer service and the information that you can get from a dealer like Pedata RV. They will guide you through the process and work with you before, during, and after the sale to make sure that your experience is a good one. You will love the freedom and lifestyle that you can find with a recreational vehicle. Whether your plans are to spend more time with your family camping on the weekends or you plan to take a trip cross-country to celebrate your retirement, you will find a way to do it in a quality new or pre-owned RV.